Iran on Wednesday unveiled three new satellites and a satellite carrier, a year after it placed its first domestic research satellite into orbit. The three satellites — Tolou, Mesbah 2 and Navid — are telecommunication satellites and have been designed and produced domestically. Mesbah 2 is a low-orbit communications satellite, which will be eased in orbit 400 to 1600 miles above the earth. It is designed to make the trip around the globe every couple of hours. According to the Islamic Republic of Iran Broadcasting News (IRIB News), no date has been set for the test-flight of a Mesbah 2 prototype, currently under manufacture. In the inauguration ceremony attended by President Mahmoud Ahmadinejad, the Iranian Aerospace Organization (IAO) also unveiled the country's first domestic satellite carrier engine, called Simorgh. Simorgh, which weighs 87 tons, is equipped to carry a 220-pound satellite 310 miles into orbit. On February 3, 2009, Iran placed a research satellite, Omid, into orbit, which carried experimental satellite control devices, communications equipment and power supply systems to a distance of 250 to 350 kilometers above the earth's atmosphere. The satellite carrier named 'Simorgh' (Phoenix, a legendary bird in Persian stories) utilizes a new generation of liquid-fuel engines to put satellites in orbit. 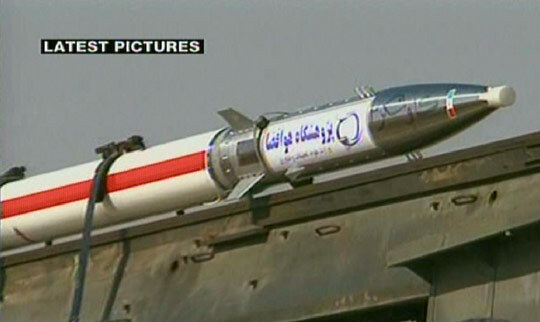 The milk-bottle shaped rocket, emblazoned in blue with the words "Satellite Carrier Simorgh," is equipped to carry a 60-kilogram (132-pound) satellite 500 kilometers (310 miles) into orbit. The 27-meter (90-foot) tall multi-stage rocket weighs 85 tons and its liquid fuel propulsion system has a thrust of up to 143 tons. The rocket uses a cluster of four engines each having a thrust of 32 tons plus a control engine with a thrust of 15 tons. Experts believe that the engine could be used in future for carrying 700-kilogram (1540-pound) satellites 1000 kilometers (620 miles) into orbit. 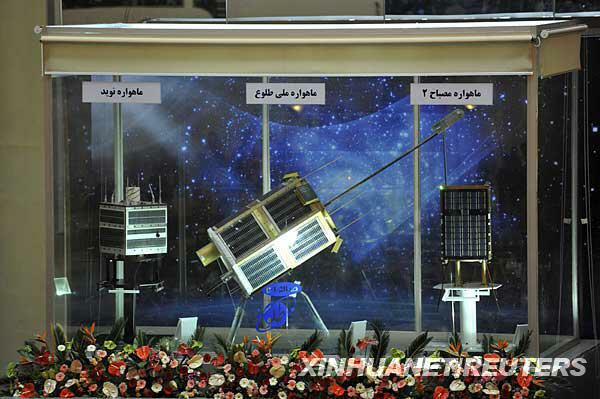 Simorgh is different from Iran's first home-made satellite carrier Safir (Ambassador) - which carried Iran's Omid (Hope) satellite - both in length and diameter and has been designed to carry the new generation of Iranian satellites into the orbit. 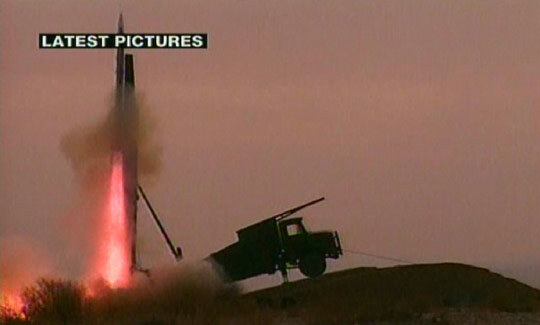 Omid (hope) was Iran's first research satellite that was designed for gathering information and testing equipment. After orbiting for three months, Omid successfully completed its mission without any problems. It completed more than 700 orbits over seven weeks and reentered the earth's atmosphere on April 25. 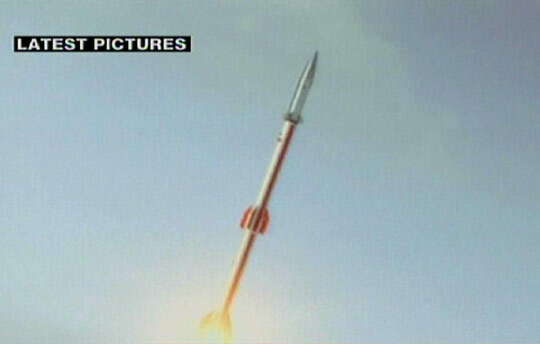 Also, Iran in November announced that it is slated to launch another research satellite, the Mesbah 2, in 2011 as part of the country's efforts to own an independent space program. Mesbah, which means "Lantern," has a lifespan of three years. It is equipped with a store and forward communications receiver that can gather information from various parts of the planet and transmit it back to the Earth. Mesbah will weigh 63.5 kilograms, more than twice the mass of Omid, which was placed into orbit on the back of two carrier rockets last February. GMT+8, 2019-4-23 04:33 , Processed in 0.280800 second(s), 20 queries , Gzip On.